TRUKAI Industries Ltd and local farmers in Morobe have produced its rice harvest from a 275 hectares farm. Chief executive Greg Worthington-Eyre, during the launching of Hamamas Rice in Port Moresby yesterday, said: “The Hamamas Rice was grown and harvested in Umi, milled and packaged at Trukai Industries in Lae, Morobe by the people of Papua New Guinea, for the people of Papua New Guinea. “After many years of trying to understand the right rice to grow, and finding the right partners, we have hit on a terrific model for growing rice in PNG that supports both smallholders and food security of the country. Chingwam Rice Growers Cooperative project manager John Maran said that they were looking for an investor to develop their land in Rangiampum, Morobe, when Trukai came on board. “We signed the rural rice development agreement with Trukai Industries Ltd in late 2015 and partnered with them from then on,” he said. “We harvested 23 tonnes out of six hectares in 2016. “In 2017, we harvested 137 tonnes out of 40 hectares. 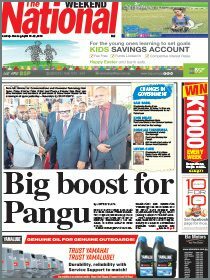 Minister for Agriculture and Livestock Benny Allen said PNG imported about 400,000 tonnes of rice at the cost of K600 million annually. “It is the Government’s policy to see the replacement of imports of rice and other commodities,” he said. Allan said that this partnership was also in line with the Government’s public-private partnerships (PPP). He said that Trukai Industries Ltd was supporting the PNG National Rice Policy 2015-20130. Allan said Customs had approved duty exemption on all rice-related equipment imported by Trukai. 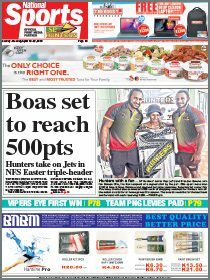 The rice will be sold in Port Moresby and Lae from next week.